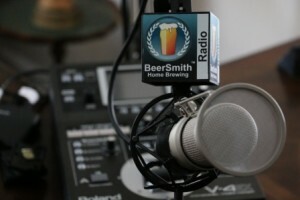 Today my guest is Jennifer Talley, author of the new book Session Beers: Brewing for Flavor and Balance (Amazon affiliate link) from Brewers Publications. Jennifer is a professional brewer who worked at Squatters Pub, Red Hook, Russian River and now Auburn Alehouse. She has more than 20 awards from the GABF and World Beer Cup. We start with a bit about Jennifer’s new book on Session Beers. Jennifer explains what a session beer really is and how it is defined. We talk about the history of session beers, which are many hundreds of years old and certainly predate the use of the term “Session Beers” which only started in about 1980. She explains the important role Europe played in the development of many session styles including the UK, Germany, and Belgium. We talk about some of the challenges in trying to develop a light refreshing session beer that is also balanced and flavorful. Jennifer shares a few tips from the book on formulating and brewing session beers. We talk about modern interpretations of the session beer. Jennifer shares some thoughts on sensory analysis of session beers. We talk about the second half of her book which includes recipes from a significant number of commercial breweries. She also shares how she scaled down commercial recipes to homebrew size for the book. We talk about how she decided which recipes to include and also her experience as a commercial brewer. Jennifer provides some closing thoughts on brewing session beers. Thanks to Jennifer Talley for appearing on the show and also to you for listening!